Me-Made-May days 3 to 9! 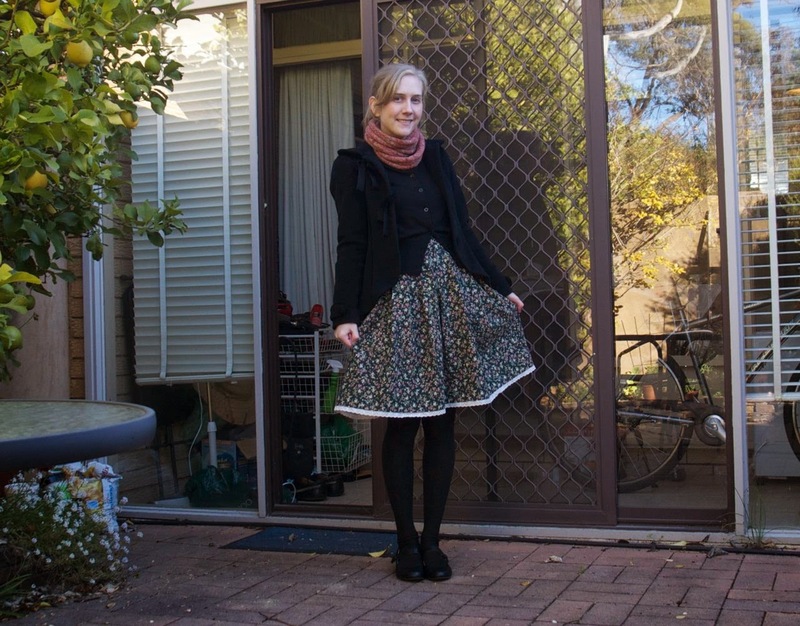 Visited my parents on Sunday, wore my self-drafted bodice dress and my alpaca scarf. It's getting so cold! 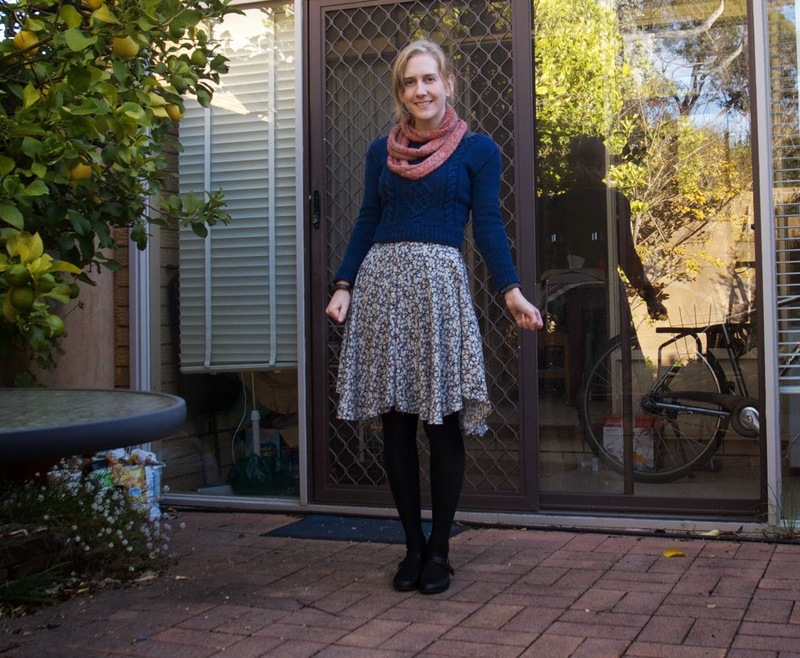 Wore my wonky culottes, alpaca scarf, and Chuck jumper. Taught all day!! Tuesday is my day off teaching when I work for an elderly lady who lives around the corner. 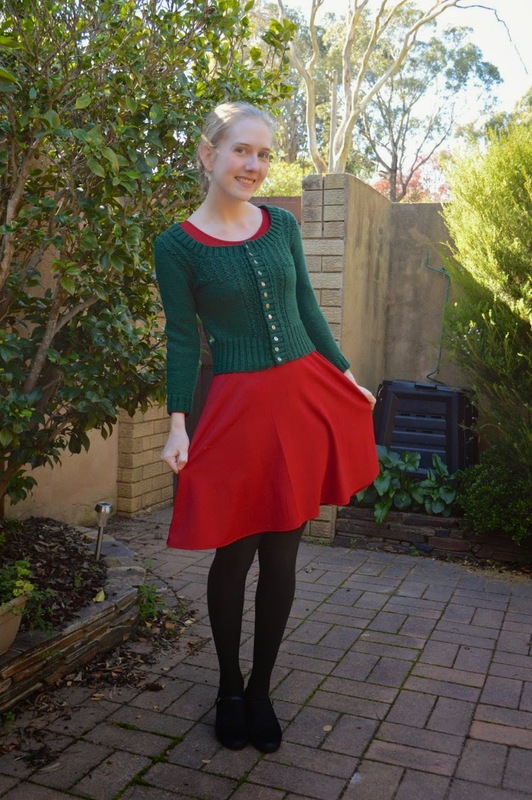 This is my Nympheas jumper! 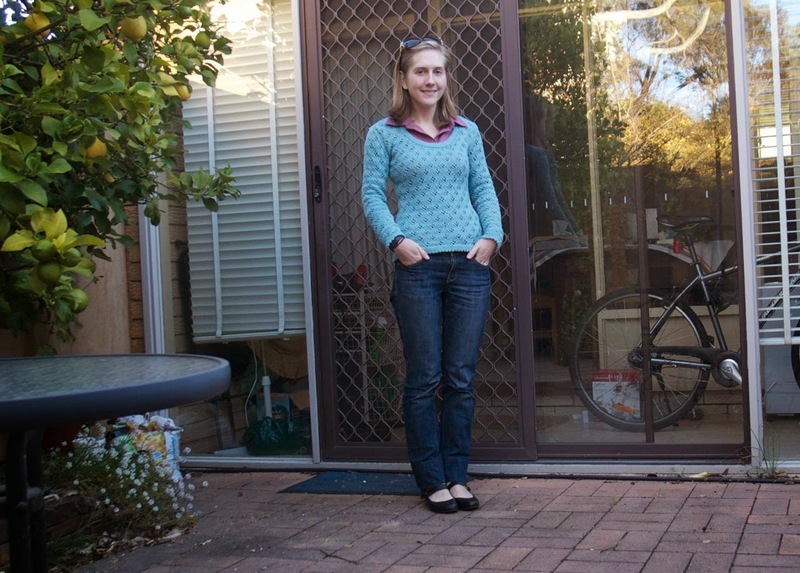 Handmade skirt from 1000 years ago, Amber Bramble jumper. Sorry I look bald in this photo, I was at my parents' house and it's hard to get a non-dappled photo there! Thursday: I didn't get a photo for Thursday! I taught early, then picked up Charles from the airport, then taught until 5:30, then had to cook dinner and put Charles to bed. He was so tired! But it was dark before I realised I hadn't taken a photo. 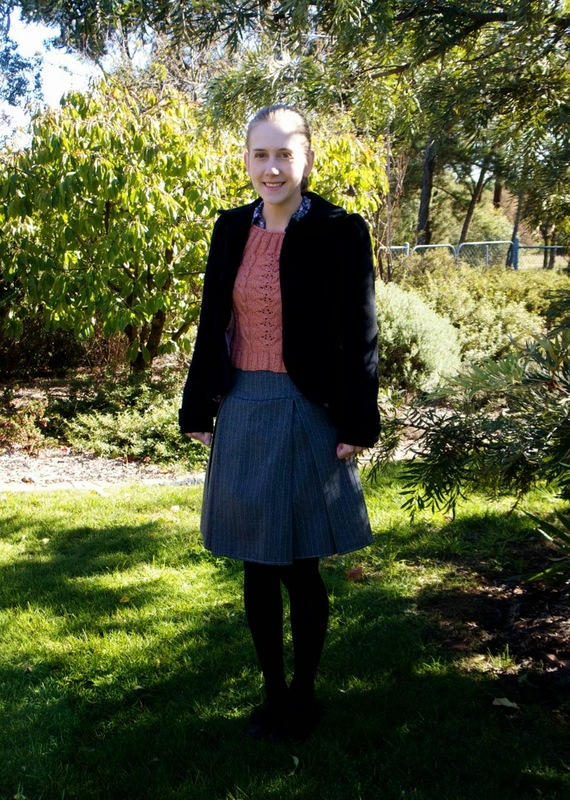 I wore basically what I wore on wednesday - that skirt and a regular cardigan. 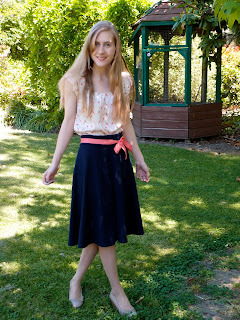 Here's a new dress that hasn't been blogged. It's a long-sleeved Lady Skater dress! 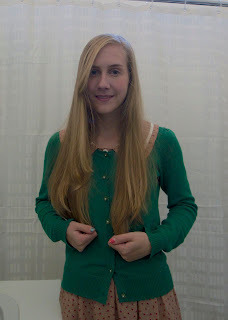 And my Milena cardigan. My Milena cardigan is pretty annoying to wear - it's super warm and has a billion buttons so I should only wear it when I'm SURE I'm not going to overheat and take it off. Also I look like Christmas. That's it so far! 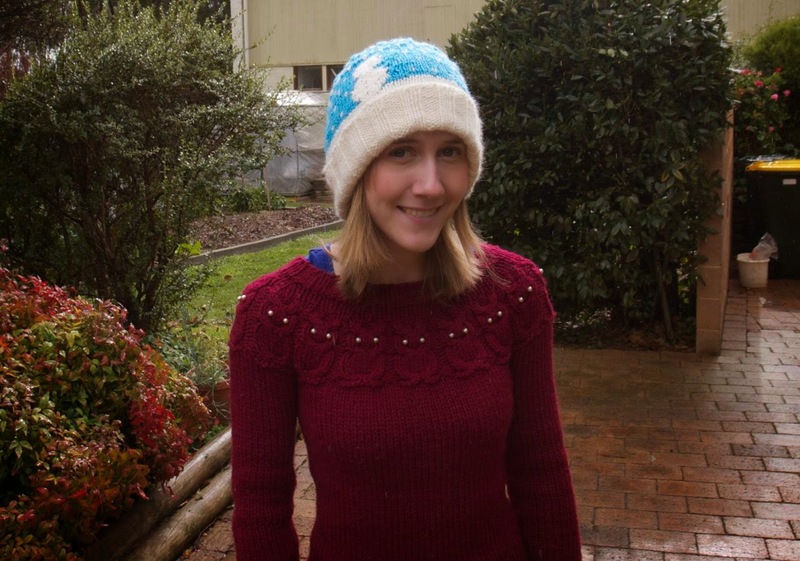 And I haven't even worn all of my handknits! You're such a clever cookie! I can't believe you made all those gorgeous things. Without a doubt though, the owl jumper is my favourite. Thank you! I am struggling but it's going ok so far. I've worn that jumper the most too!